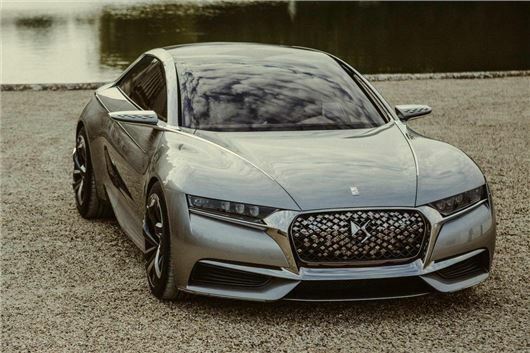 Rebellious Citroen offshoot DS Automobiles, the newly formed standalone company that manufactures the DS range, will make its debut appearance as a proper company at this year’s Goodwood festival. It will use the event to try and convince the largely British audience of its legitimate claim to a seat at the German-dominated premium table. So, its display will be a feast of French-themed auto-erotica, centering around a 1957 DS but also including a concept car called the Divine DS, above. You can expect to see DS Automobiles’ full range of passenger cars too, comprising DS 3, DS 4 and DS 5, the last of those recently facelifted and officially the first model of the newly formed, standalone company. There’s also a hashtag, #divineDSmoments, which despite sounding like a 1990s advertising slogan for a mousse dessert, is something to do with limited edition chocolates, which visitors will presumably be able to buy on the stand. Or maybe sample for free – DS simply says they "reinforce the premium experience for visitors to the display." This is the first UK appearance of the new DS 5, although the DS 4 was revised this year too, including a new set of Euro 6 engines, the eradication of any and all Citroen badges, and some new colours. DS Automobiles’ contribution to the Moving Motor Show this year is entirely DS 3 based, with the DSport THP 165, Cabrio 165 and Cabrio Racing all available to try.